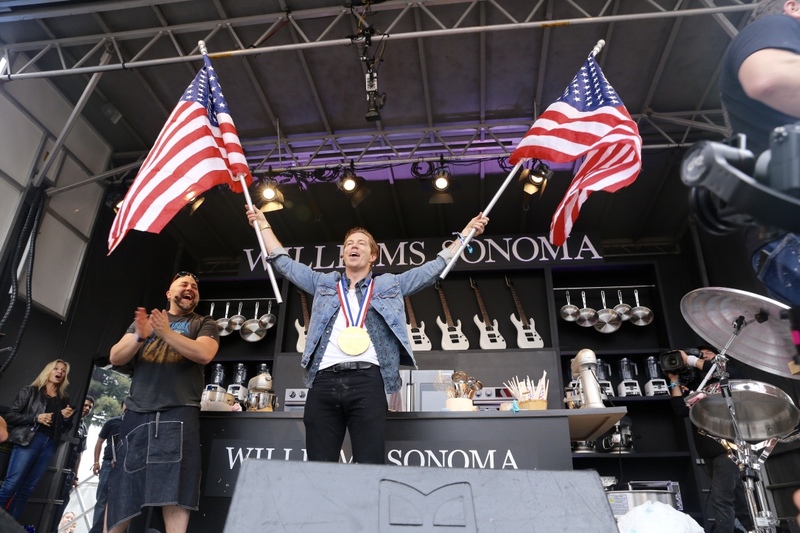 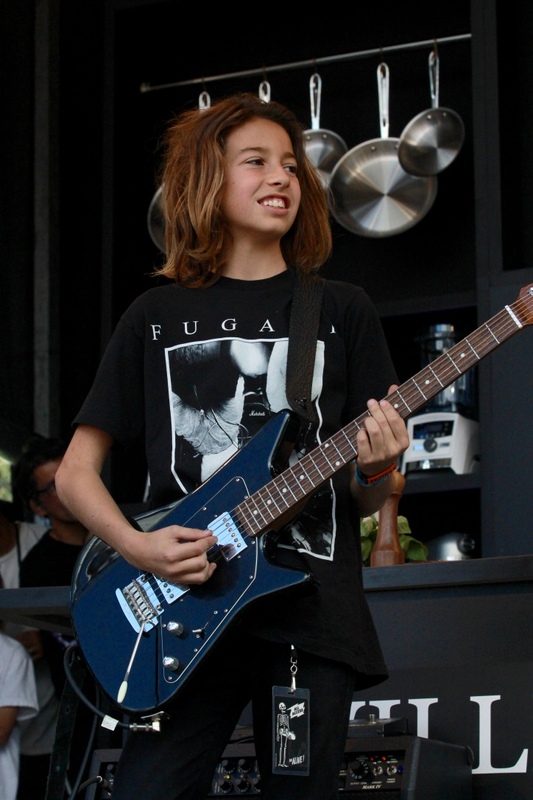 Crowd Pleasing William Sonoma Culinary Stage Shines at BottleRock Napa this Year! 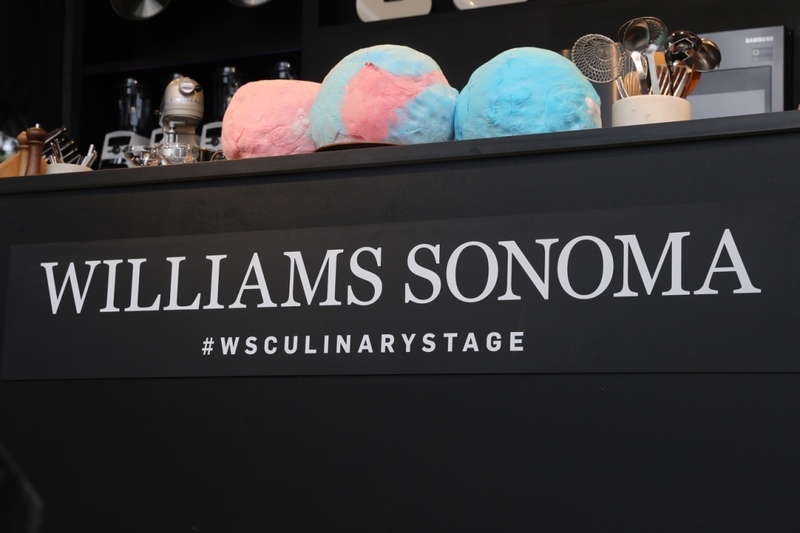 Cotton candy balls, crawl fish and t-shirts were just a few items flying from the William Sonoma Culinary Stage into an audience of cuisine fans at BottleRock Napa 2018. 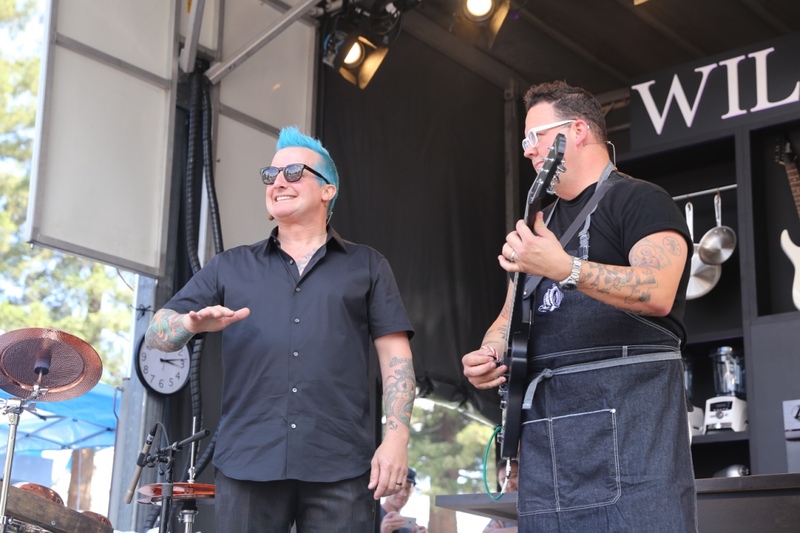 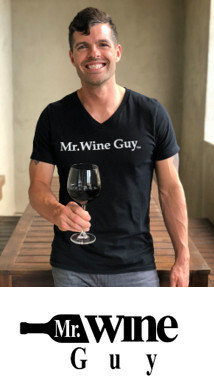 Situated in the heart of wine country’s favorite music, food and wine festival, the culinary stage has grown into a crowd favorite at the three-day event. 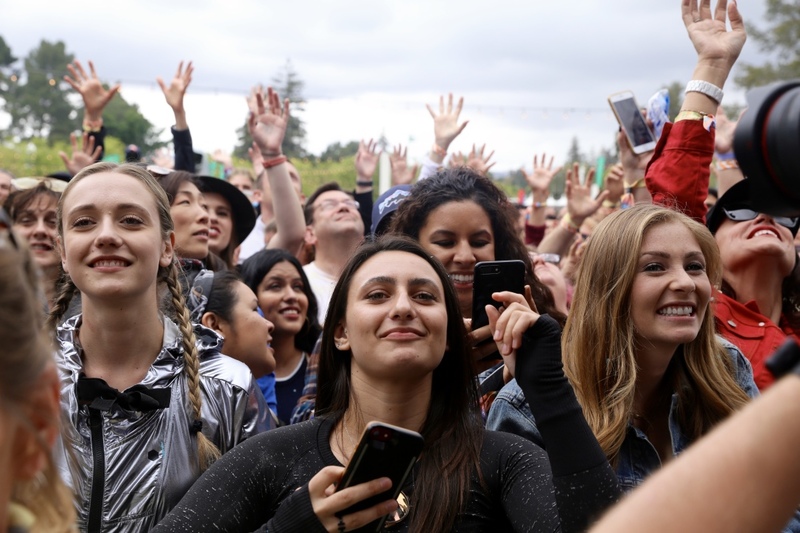 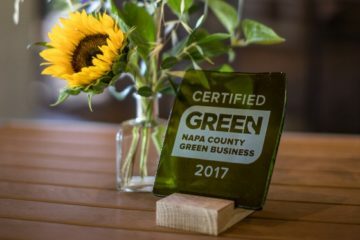 This year, BottleRock Napa expanded the viewing area opening more room between the stage and the top Napa Valley restaurant booths. 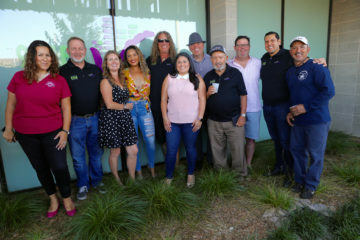 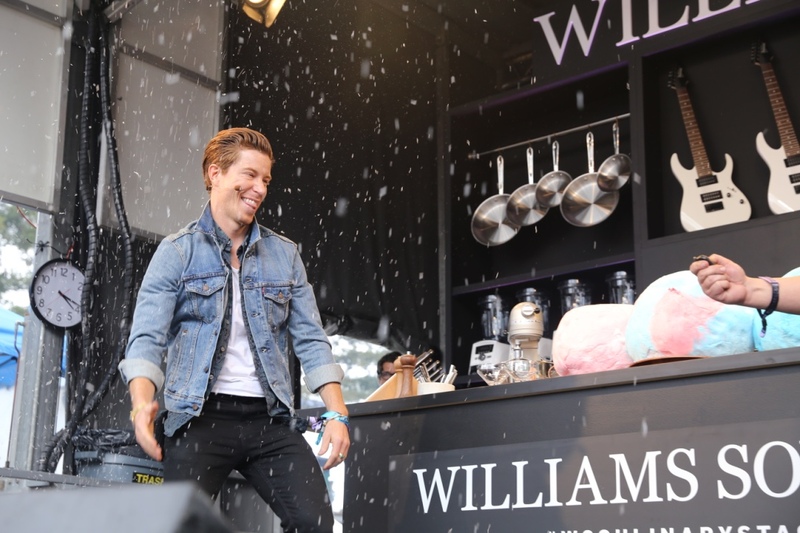 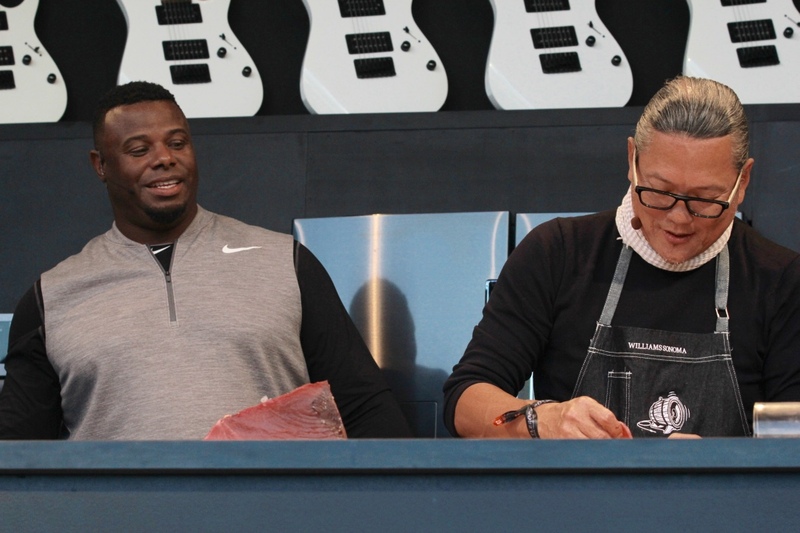 Dancing, jiving and the shaking of the tosh as well as impromptu jam sessions with guest artists were some of the culinary-infused antics celebrity chefs, sport stars and celebrities used to demonstrate their creative dishes. 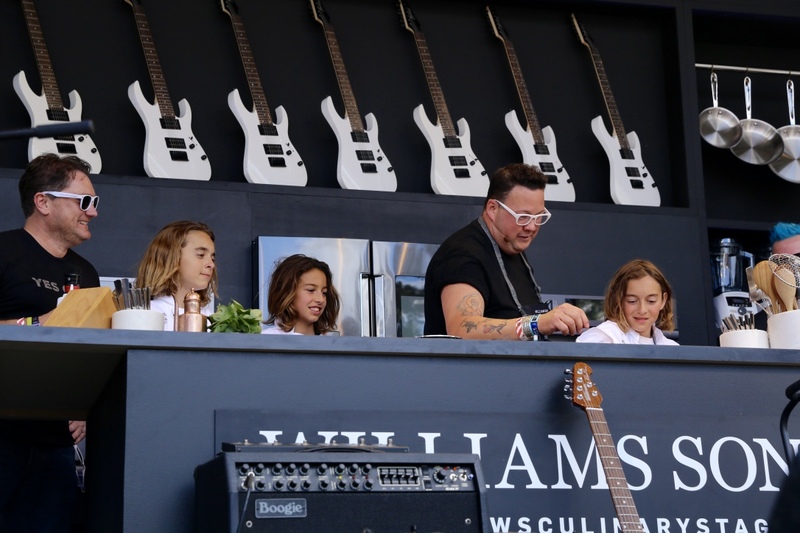 GRAMMY™ award-winning musician, television host, and three-time New York Times bestselling cookbook author Trisha Yearwood, Food Network star, Chef Giada De Laurentiis and  Iron Chef  Masaharu Morimoto were this year’s headliner at the Williams Sonoma Culinary Stage. 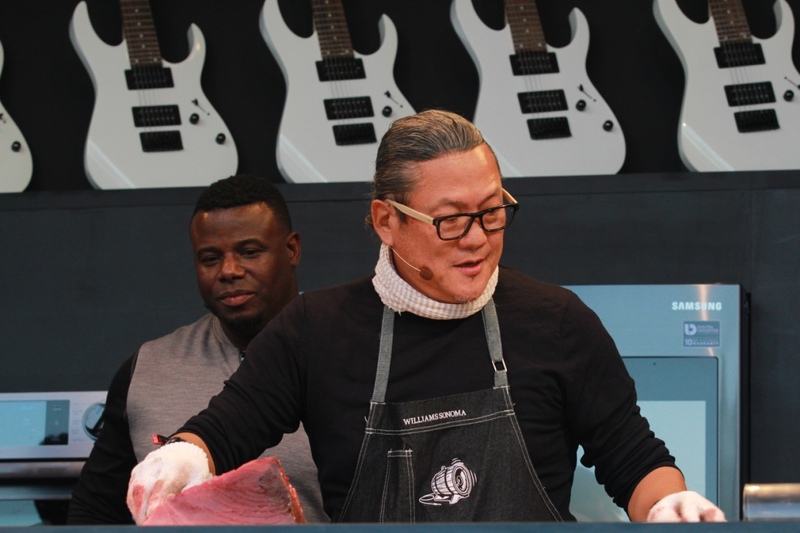 In addition to Yearwood, De Laurentiis, and Morimoto, the culinary stage featured chefs paired with musicians and celebrities. 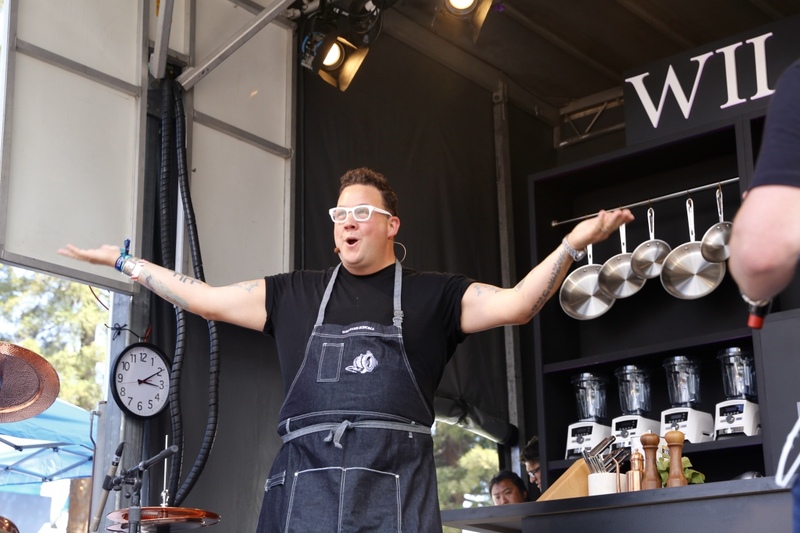 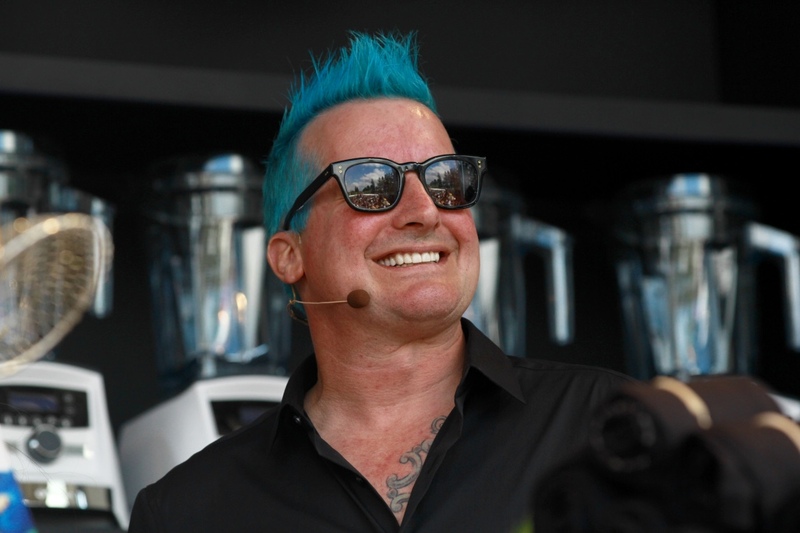 The 2018 culinary stars appearing included Top Chef Jr. host Graham Elliot, Top Chef Michael Voltaggio, Top Chef  Richard Blais,  Aarón Sánchez, chef/owner Johnny Sánchez and co-star of FOX’s Master Chef and Master Chef Junior,  James Beard Best Chef  award winner Charlie Palmer,  Travel Channel  star Adam Richman, Top Chef  Masters Hubert Keller, Food Network star Chef Duff Goldman, Michelin 2-Star Chef Dominique Crenn, actress, host and cookbook author Tiffani Thiessen, and Bay Area favorite chefs Tony Cervone, Tyler Rodde and Aaron Meneghelli. 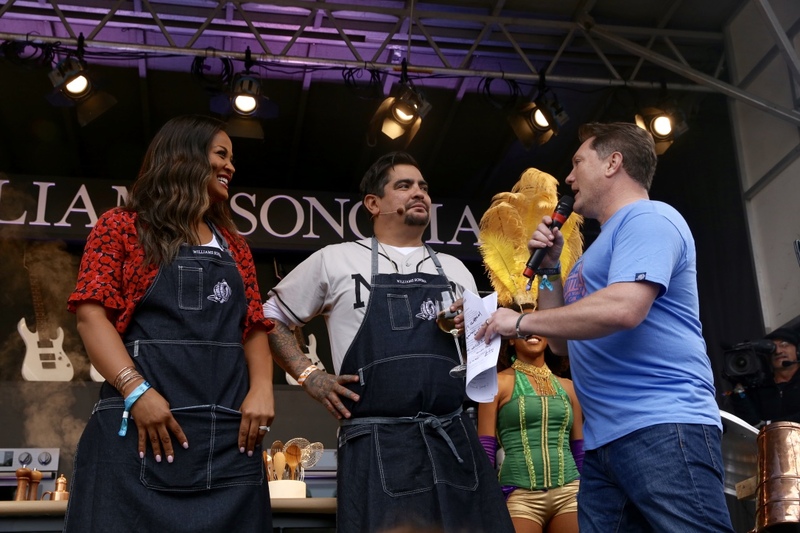 Joining the culinary talent on the Williams Sonoma culinary were Halsey, Snoop Dogg, actor/comedian George Lopez, Olympic Gold Medal Winner Shaun White, Mike D, Baseball Hall of Famer Ken Griffey Jr., MLB all-time home run king Barry Bonds, Harlem Globetrotters, boxing great and cookbook author Laila Ali, Michael Franti, Tré Cool of Green Day, Gary “Baba Booey” of The Howard Stern Show, E-40, Shakey Graves, future NFL Hall of Famer Charles Woodson, Warren G, NFL Hall of Famer Ronnie Lott, Rob Garza of Thievery Corporation, St. Paul & The Broken Bones, Tank and the Bangas, Joe Kwon of the Avett Brothers, Dan the Automator, KTVU Sports Director Mark Ibanez, The Alive and City of Napa Mayor Jill Techel. 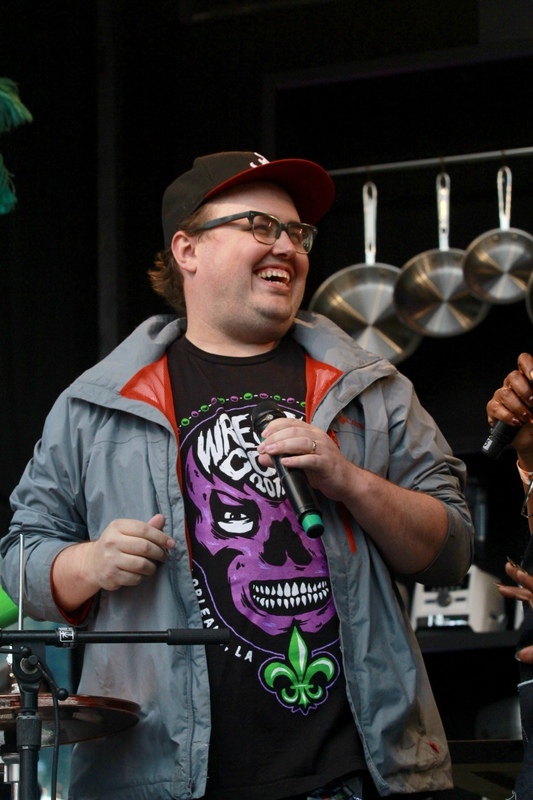 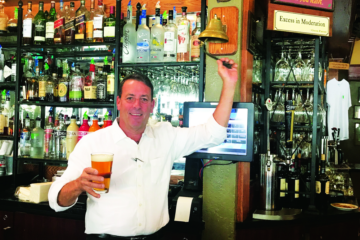 The Culinary Stage emcee is two-time Emmy award winner and KCBS “Foodie Chap” Liam Mayclem. 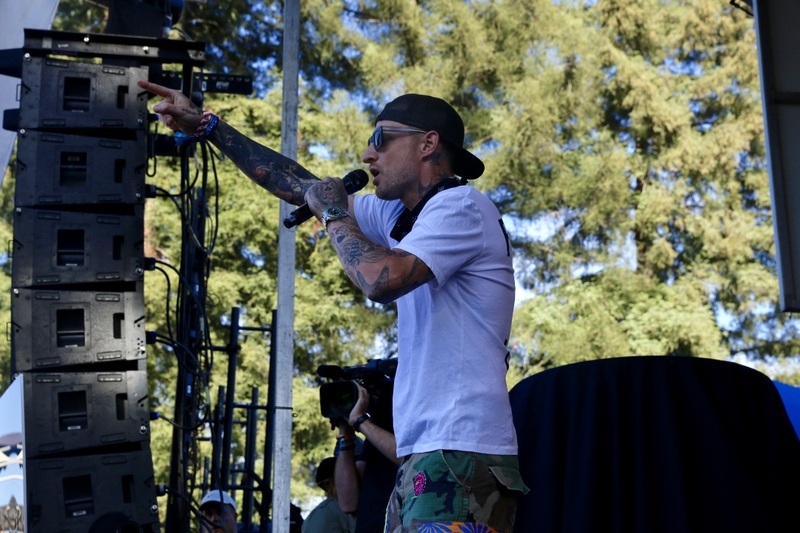 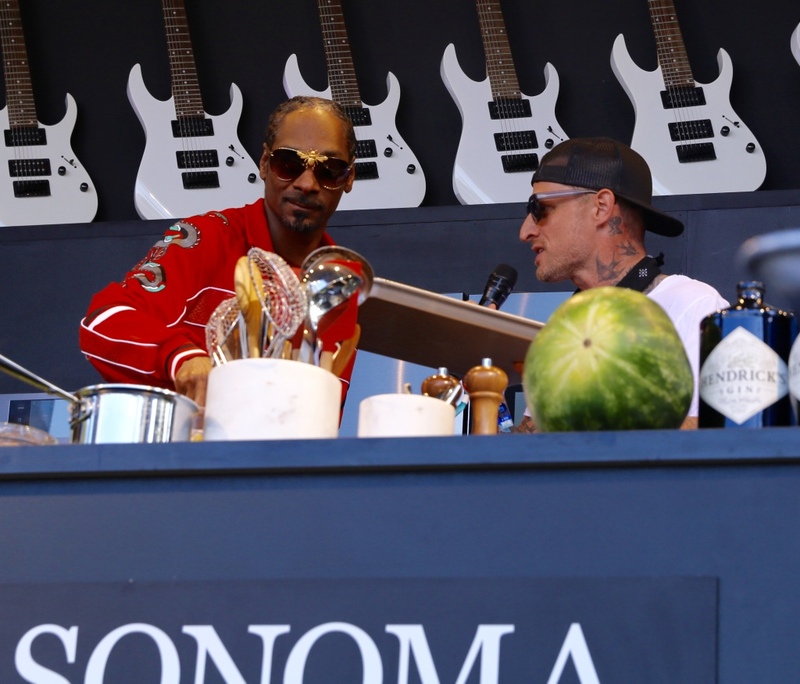 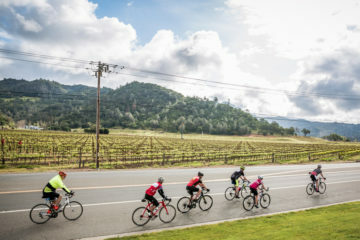 In addition to the Williams Sonoma Culinary Stage, BottleRock guests enjoyed a variety of dining options throughout the festival grounds featuring many of the most celebrated chefs and restaurateurs from the Napa Valley. 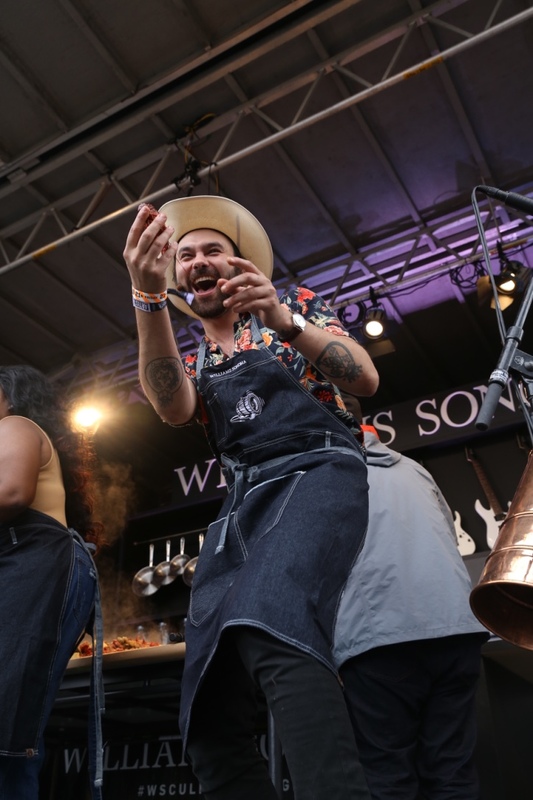 Attendees chose from a variety of cuisines, including Japanese, Italian, Spanish, Mexican, American, Mediterranean and Vietnamese cuisines, with many vegetarian and vegan options. 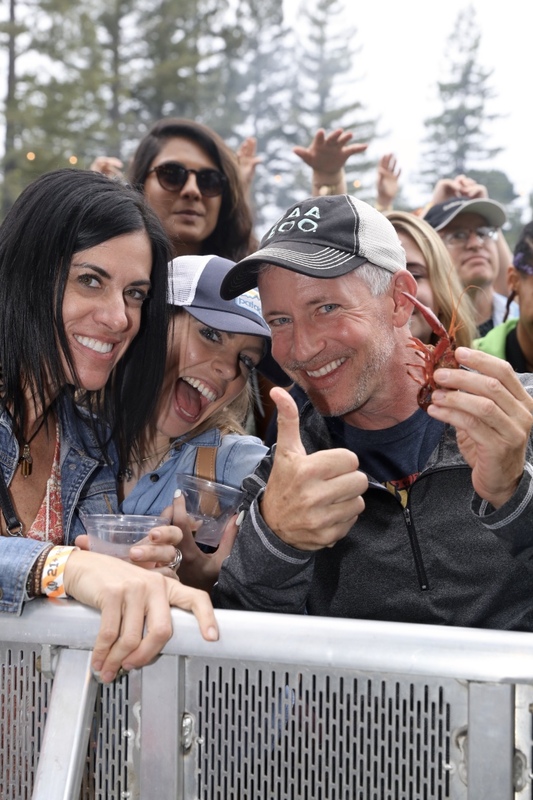 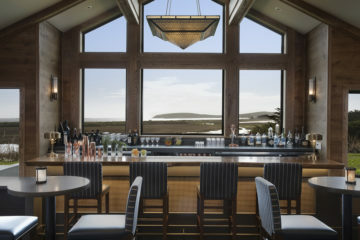 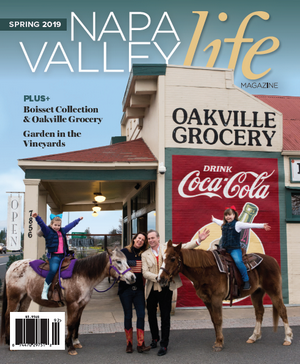 The 2018 festival lineup is a foodie’s wish list, which included Morimoto Napa, Bouchon Bakery, Estate Events by Meadowood, La Toque, Mustards Grill, Oenotri, Torc, La Taberna, Cole’s Chop House, The Q Restaurant and Bar, Bounty Hunter Wine Bar & Smokin’ BBQ, Angéle, Boon Fly Cafe/FARM, Goose & Gander, Bistro Don Giovanni, Tarla Mediterranean Bar & Grill, Redd Wood, Miminashi, Napa Palisades Saloon, Stone Brewing Co., Southside Café, Jax White Mule Diner, Taqueria Rosita, Il Posto Trattoria, Eight Noodle Shop, Kara’s Cupcakes, Bui Bistro, Foodshed, The Farmer’s Wife, Ristorante Allegria, Ben & Jerry’s and Sweetie Pies. 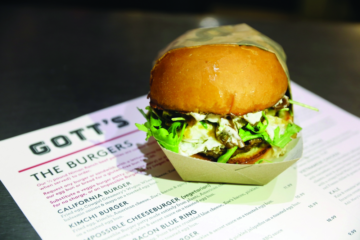 Food Trucks from around the Bay Area and beyond also added to the festival attendee’s menu.